How does one nurse deliver ten babies in a single shift? She runs. Facing a severe shortage of surgeons, Mozambique decided to train non-physicians to do life-saving operations. Daniel Grossman travels to the interior of southern Mozambique, where clean water is never a promise, and droughts are as worrisome as floods. 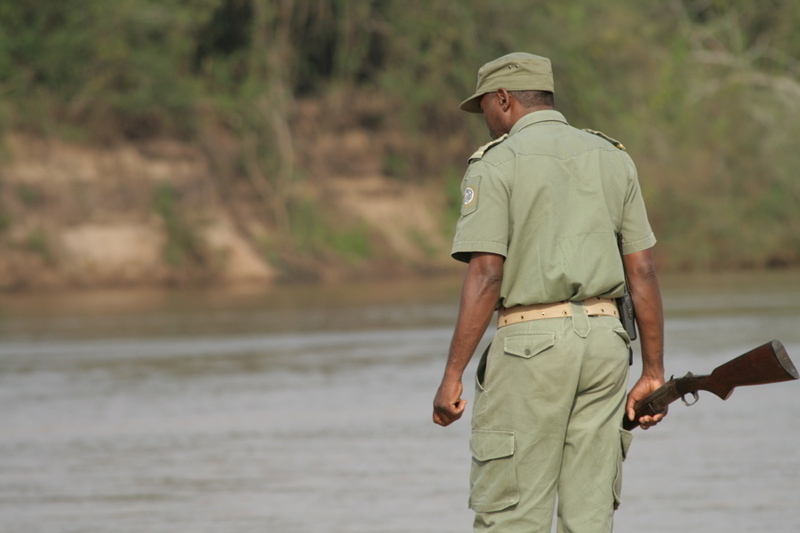 Tune in this Sunday to CBS "60 Minutes"
I had been in the Gorongosa National Park for about a week when Carlos Lopes Pereira, director of conservation, told me that his rangers had found the crocodile. "We are going to shoot it," he said. "It's near Vinho." Surgically-treatable conditions cause more death and disability than HIV/AIDS, tuberculosis and malaria, combined. Now, a group of doctors is pushing to put surgery on the global health agenda. Planet Earth's average temperature has risen about one degree Fahrenheit in the last fifty years. By the end of this century it will be several degrees higher, according to the latest climate research. But global warming is doing more than simply making things a little warmer. Bridget Huber visited operating rooms in Uganda and Mozambique while reporting on surgery's place on the global health agenda. The Pulitzer Center and Thomson Reuters Foundation invite journalists from Southern African countries to apply for the 2018 Reporting Property Rights workshop in Johannesburg, South Africa, from July 31-August 3, 2018. Africa's life-saving surgeons aren't always doctors. One man is using his great wealth to try to help some of the poorest people in Mozambique by attracting more tourists to the beautiful national park of Gorongosa. Scott Pelley reports. Students will learn about the state of health care in developing nations, and to draw conclusions about effective health care from their successes and failures.